Anyways, Jack 'n Jill Calbee has taken the besto potato experience to a whole new level as it invites everyone to bite into life's best experience with its #BESTOPOTATO pop-up store. Drop by with your friends at the Jack 'n Jill Calbee #BESTOPOTATO pop-up store at the Bonifacio High Street on July 2 and 3, Alabang Town Center on July 16 and 17, UP Town Center on July 30 and 31 and Robinsons Place Manila on August 5 and 6 and other mall in the coming months. 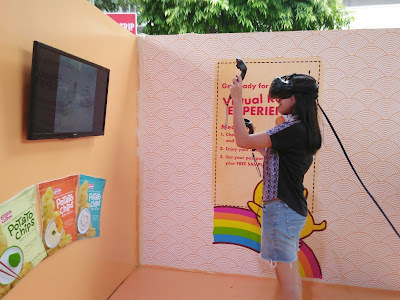 Also, the pop-up store offers one-of-a-kind experiences with its activity booths. Get transported into an adventure-filled dimension in Jack 'N Jill Calbee's Virtual Reality Booth. 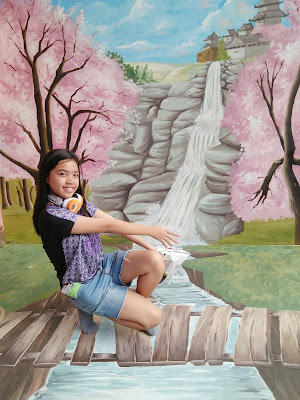 See the wold in different perspective and have your creative snaphoto taken with the Jack 'N Jill Calbee Trick Art Booth. Try to catch as much cheese in a flurry inside a glass tube with the Jack 'N Jill Calbee Pizza Potato Game. (Look whos got her reward for completing the passport stamp). 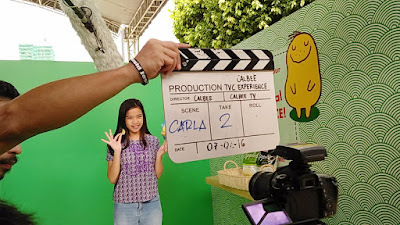 Potato chips lovers can also experience what its like to be the star in front of the camera with Jack 'N Jill Calbee's TV Commercial Booth. And they can actually be part of the online video that will be released on the brand's Facebook Page, Facebook.com/JacknJill.ph. By simply picking their Calbee variant choice and saying why they love it, they instantly get the chance to be part of the online video. 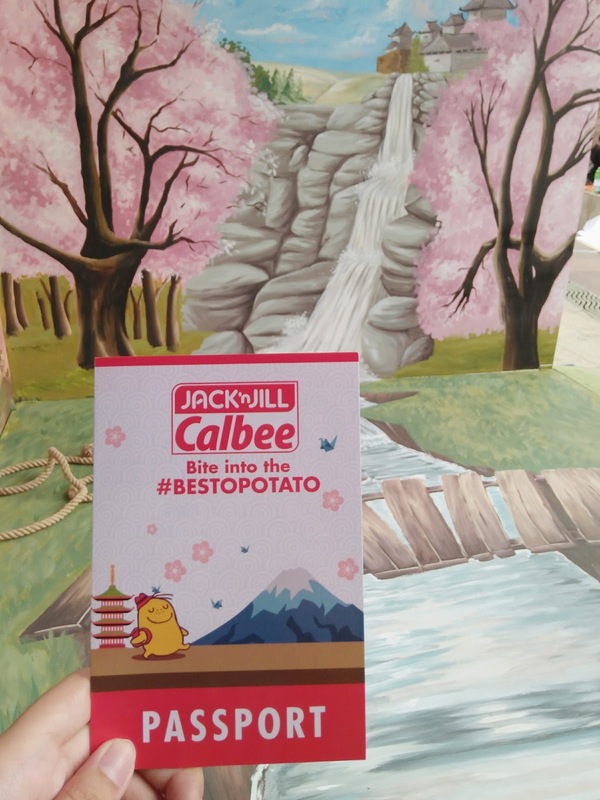 The #BESTOPOTATO experiences gets better as Jack 'N Jill Calbee will raffle out three (3) all-expense-paid trips to Japan for four ( W O W). Every P199.00 worth of purchase in the pop-up store will entitle booth-goers to a raffle entry. The Jack 'N Jill Calbee pop-up store will also be present in 15 universities Metro Manila. 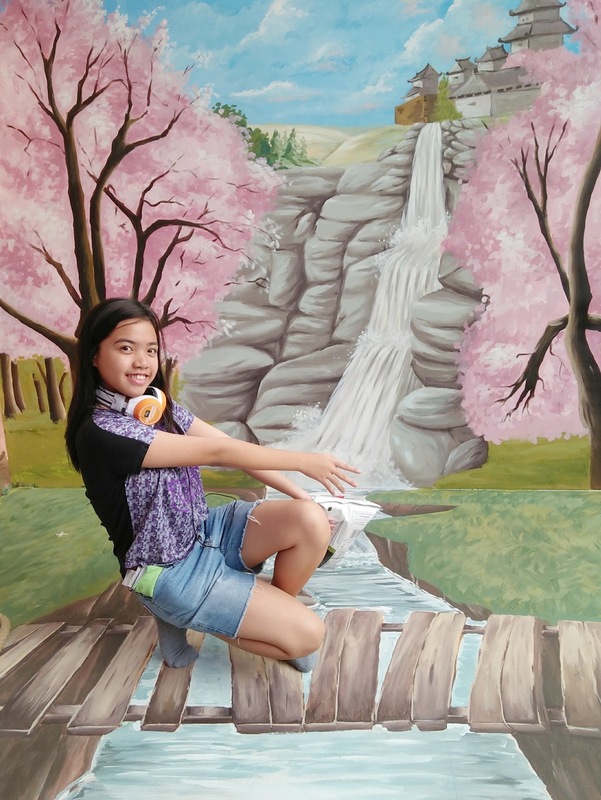 Students can delight in the pop-up store's fun activities and also get a chance to join its trip to Japan promo. To earn a raffle entry, students can post about their pop-up store experience on Facebook and include the hashtags #JacknJillCalbee #BESTOPOTATO and #TakeUsToJapan. 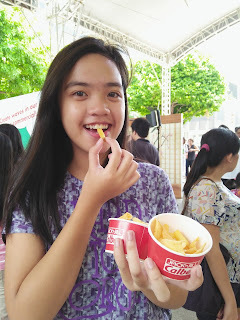 Jack 'N Jill Calbee is indeed #BESTOPOTATO for using only the best potatoes to ensure a premium and best tasting potato snack experience in every pack. Experience only the best by catching Calbee and its pop-up store around the Metro. Bite into the best-tasting potato snacks of Jack 'N Jill Calbee and experience its fun and engaging activity booths by visiting Calbee #BESTOPOTATO pop-up stores in select mall in Metro Manila. As some says, "If you're sad add some lipstick and attack." 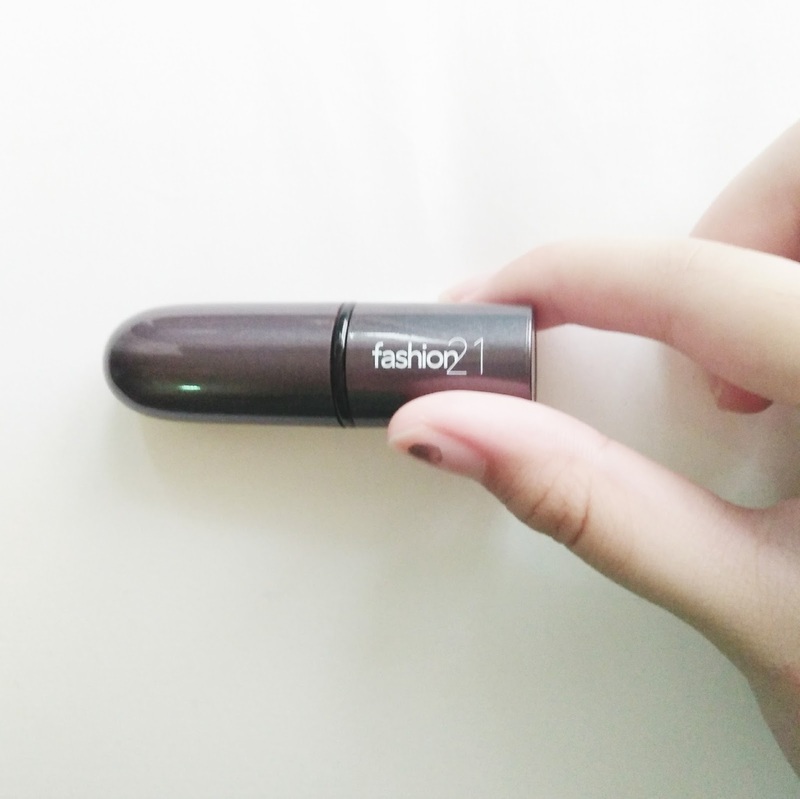 Fashion 21 has a collection of face powder compact, eye shadow palletes and now Fashion 21 have already released an All Day Matte Lipstick. 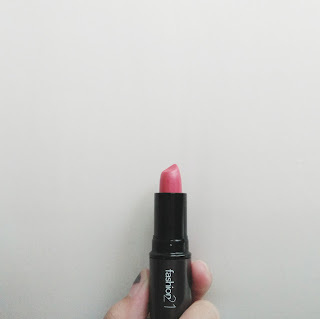 Im not really a lipstick lover because I dont put anything on my lips, but since its matte I'll give it a try. 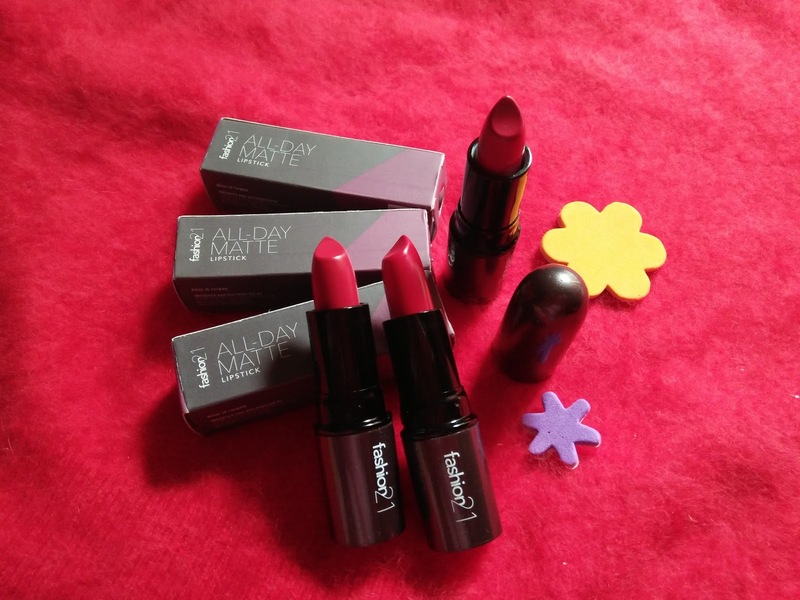 The All Day Matte Lipsticks are available in 15 colors there are Brown/nudes, pink and red. Also the shape of the tube is bullet and its similar to MAC. The price is not expensive, it starts at P175. Its very lightweight because I dont like those heavy lipstick and also it doesn't dry my lips. That's all! 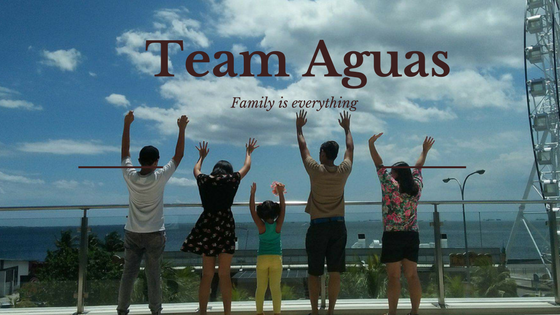 See you on my next blog!